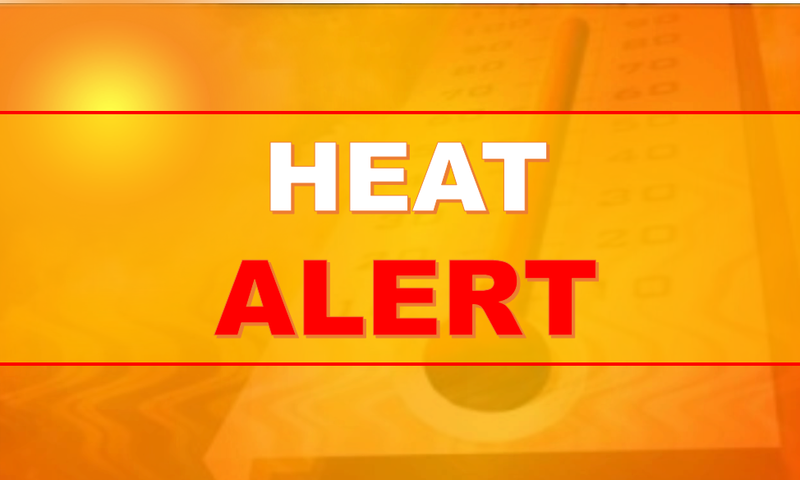 * TEMPERATURE...HIGHS IN THE LOWER TO MIDDLE 90S COMBINED WITH HIGH HUMIDITY WILL RESULT IN PEAK HEAT INDEX VALUES BETWEEN 105 AND 110 TODAY. * IMPACTS...INCREASED RISK OF HEAT-RELATED STRESS AND ILLNESS. THE VERY YOUNG, ELDERLY, THOSE WITHOUT AIR CONDITIONING, AND THOSE PARTICIPATING IN STRENUOUS OUTDOOR ACTIVITIES ARE THE MOST SUSCEPTIBLE. VEHICLE INTERIORS CAN REACH LETHAL TEMPERATURES IN A MATTER OF MINUTES. PRECAUTIONARY/PREPAREDNESS ACTIONS... A HEAT ADVISORY MEANS THAT A PERIOD OF HOT TEMPERATURES IS EXPECTED. THE COMBINATION OF HOT TEMPERATURES AND HIGH HUMIDITY WILL CREATE A SITUATION IN WHICH HEAT-RELATED ILLNESSES ARE POSSIBLE. DRINK PLENTY OF FLUIDS...STAY IN AN AIR-CONDITIONED ROOM...STAY OUT OF THE SUN...AND CHECK UP ON RELATIVES AND NEIGHBORS. TAKE EXTRA PRECAUTIONS...IF YOU WORK OR SPEND TIME OUTSIDE. WHEN POSSIBLE...RESCHEDULE STRENUOUS ACTIVITIES TO EARLY MORNING OR EVENING. KNOW THE SIGNS AND SYMPTOMS OF HEAT EXHAUSTION AND HEAT STROKE. WEAR LIGHT WEIGHT AND LOOSE FITTING CLOTHING WHEN POSSIBLE AND DRINK PLENTY OF WATER.